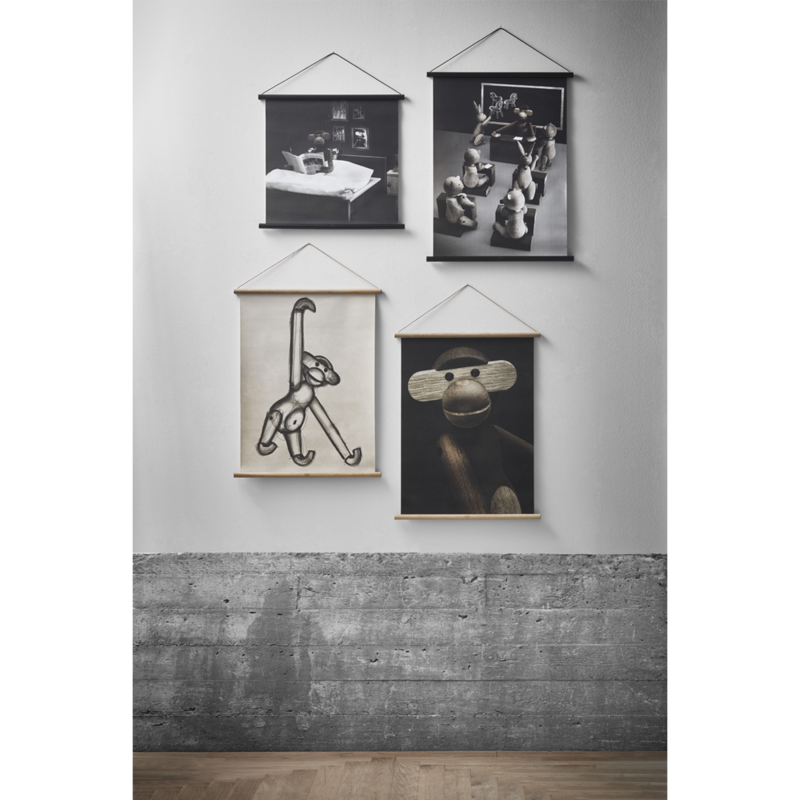 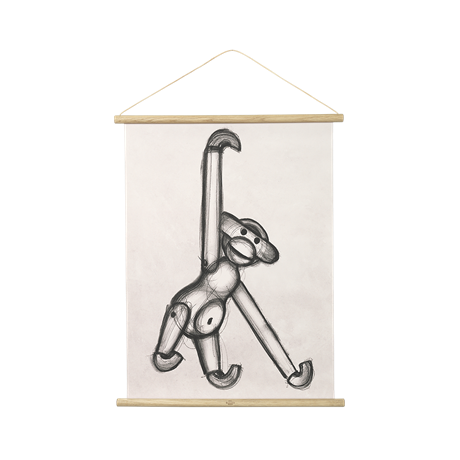 Get Bojesen’s popular Monkey as a wall-hanging for your home. 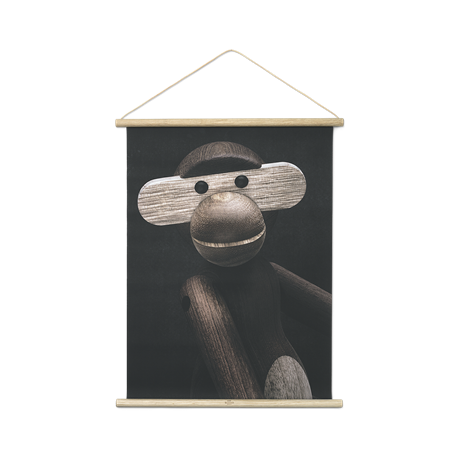 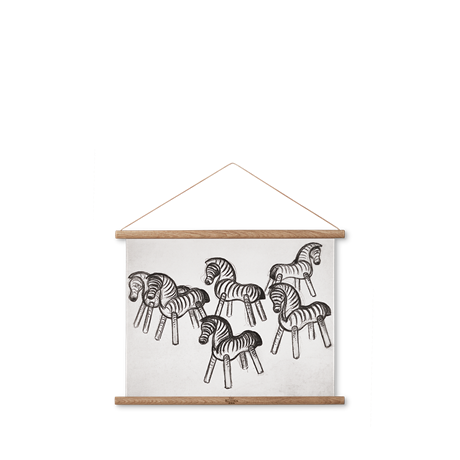 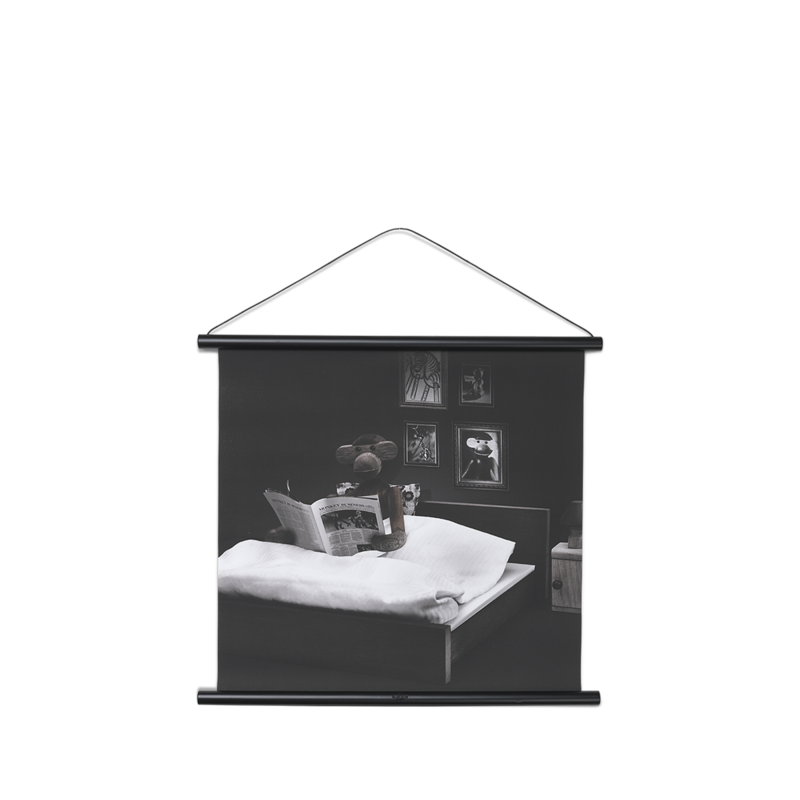 This beautiful, original canvas with black oak profiles and a black leather cord depicts Kay Bojesen’s popular Monkey in his bedroom, reading bedtime stories. 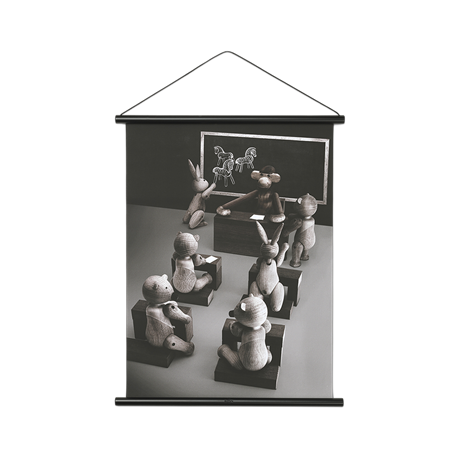 The canvas measures 40 x 40 cm and the colour nuances are dark. Ideal for a child’s bedroom, or your living room.